Lastly, the top six looks from BCBG’s fall collection have me dreaming of skipping spring and summer all together so I can rock these chic styles right now! What do you think? Which styles do you see yourself wearing in the fall? Photo Credit: Giovanni Giannoni via Women’s Wear Daily. View the slideshow at WWD for all the photos from the runway show. 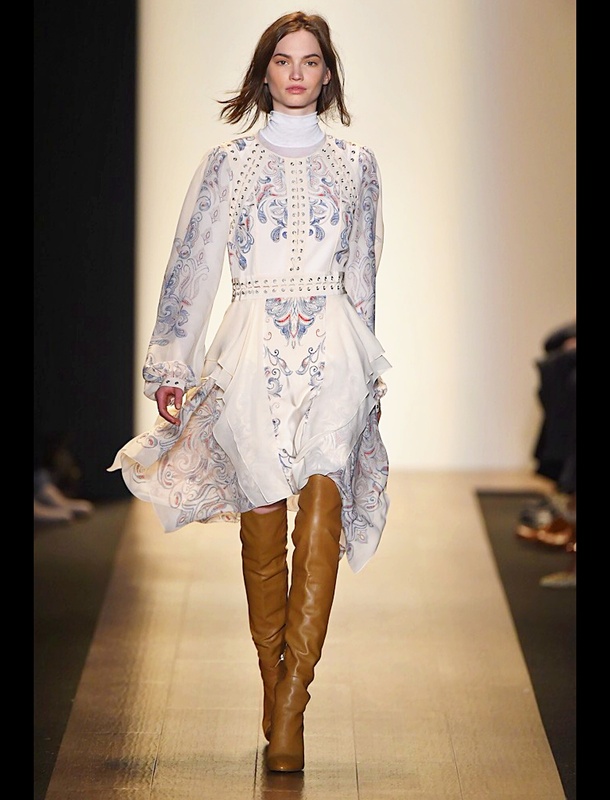 This entry was posted in Style Talk and tagged BCBGMAXAZRIA, Fall 2015 Trends, Fall Fashion, Mercedes-Benz Fashion Week, New York Fashion Week. Bookmark the permalink. The outfits are very nice and I can see myself wearing a white turtleneck in the fall. Turtlenecks are going to be big in the fall but I am still hesitant about wearing them. They are not my favorite but BCBG does a very good job of making them look more appealing to wear. They seem more loose rather than constricting, which is how I usually view them and the reason I don’t wear them.